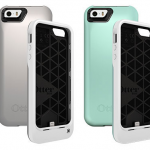 Mophie is expanding the company’s line of Space Pack cases for the iPhone 5/5s. A new 64GB model is now available for preorder for $249.95. First launched at CES in January, the Space Pack doubles the battery life of your handset, and also features build-in storage to hold documents, photos, videos, and music. 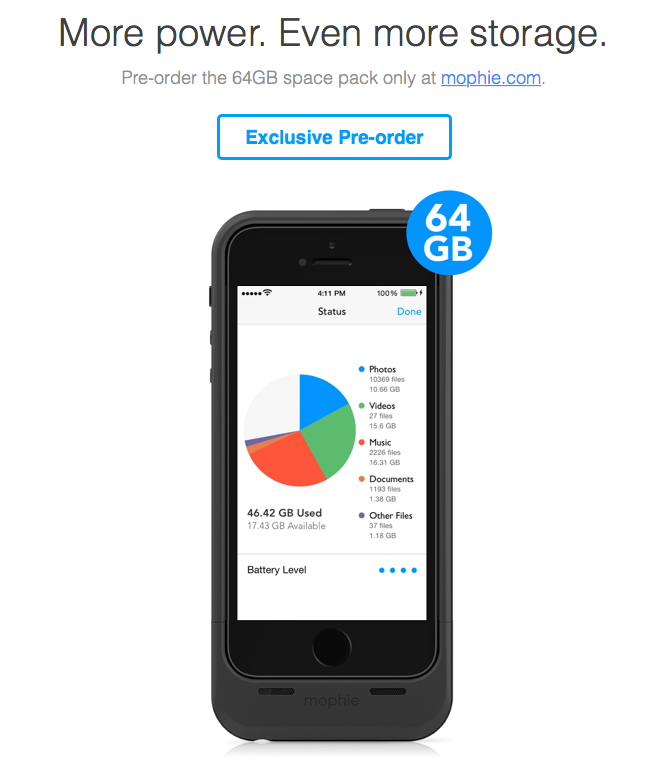 Mophie says the 64GB Space Pack offers enough storage for 32,000 photos, 28 hours of video, and 18,000 songs. Like the previously released 16GB and 32GB models, the 64GB Space Pack is available in black and white. The new model is estimated to ship on July 22. As I noted in our original review, the Mophie Space Pack is a great product, though it does have some key limitations. It's also priced on the high side, which must also be considered. You can preorder the 64GB Space Pack by clicking on this link. The 16GB ($149.95) and 32GB ($179.95) models are available at mophie.com and through retail stores. 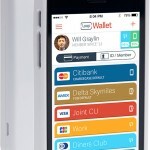 See also: The Yves Behar Designed Vessyl Cup Launches, Tracks What You Are Drinking, The LoopPay ChargeCase Is A Mobile Payment System And A Battery Pack In One, and OtterBox's New Resurgence Case For iPhone 5/5s Offers Military Grade Durability.